Directoire costumes imités de l’antique. 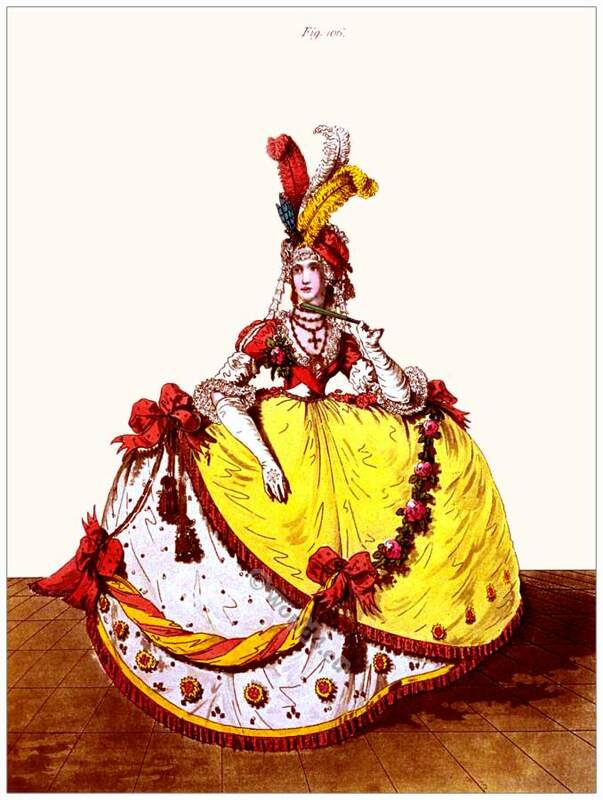 Directoire costumes imitated from the antique. Paris, 1798. This entry was posted in 1798, 18th Century, Directoire, First Empire, France and tagged Augustin Challamel, French Directoire style, Neoclassical dresses on 8/12/16 by world4. 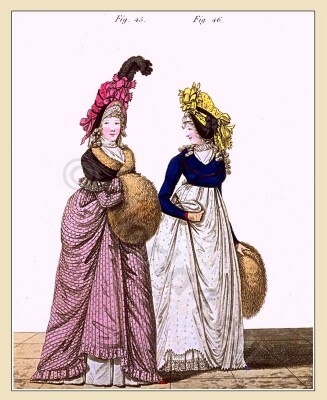 This entry was posted in 1808, 19th Century, England, Georgian period, Regency period and tagged England Georgian Era Fashion, Neoclassical dresses, Regency period on 6/4/16 by world4. 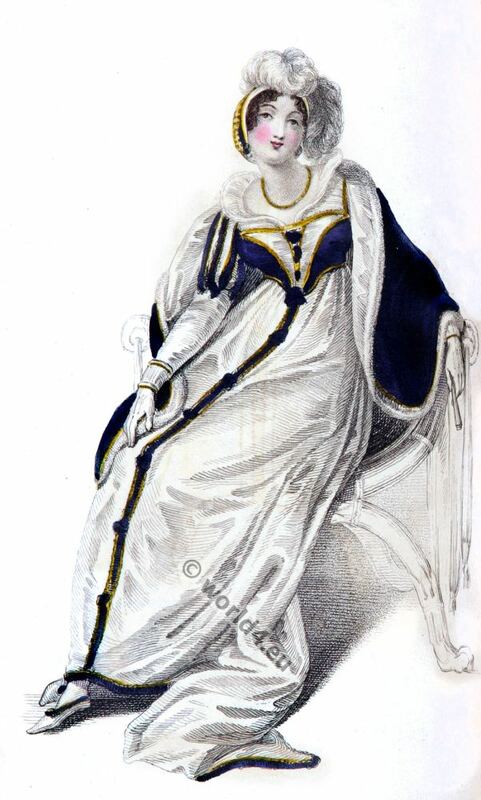 Regency walking dress. Fashions for ladies and gentleman. 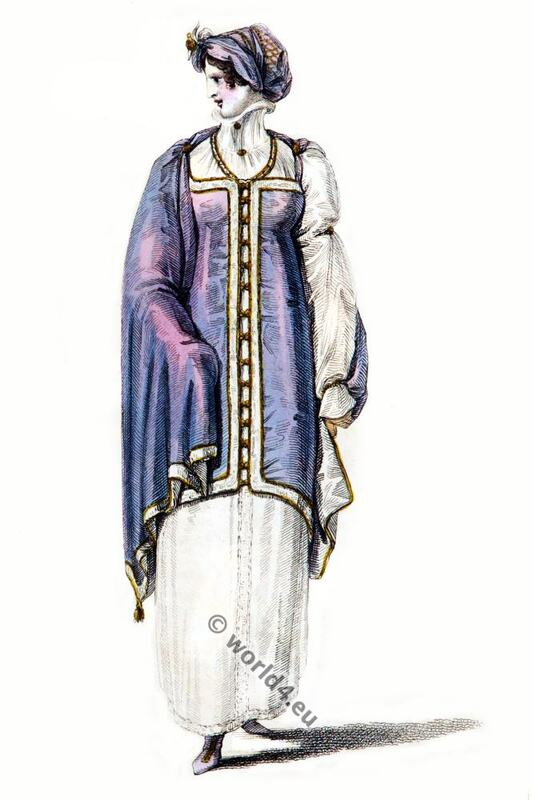 Regency walking dress. April 1809. Fashions for ladies and gentleman. This entry was posted in 1809, 19th Century, England, Georgian period, Regency period and tagged Bonnet, England Georgian Era Fashion, Neoclassical dresses, Regency period, Rudolph Ackermann on 8/13/15 by world4. Fashion London April 1809. Regency costume, full dress. This entry was posted in 1809, 19th Century, England, Georgian period, Regency period and tagged England Georgian Era Fashion, Neoclassical dresses, Regency period, Rudolph Ackermann on 7/13/15 by world4. England Georgian Court dress. July 1796. This entry was posted in 1796, 18th Century, Court dress, England, Gallery of Fashion, Georgian period, Regency period and tagged England Georgian Era Fashion, Neoclassical dresses, Nikolaus von Heideloff, Regency period on 1/6/14 by world4. Regency round gown with white taffeta bonnet 1794. 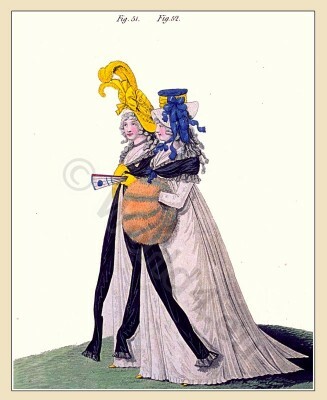 The Gallery of Fashion December 1794. England Morning Dresses. 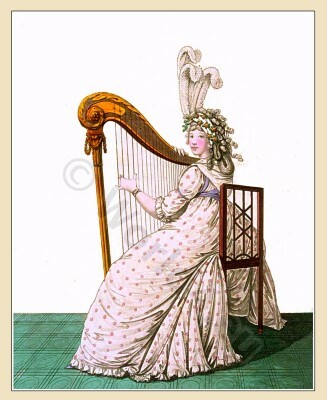 This entry was posted in 1794, 18th Century, England, Gallery of Fashion, Georgian period, Regency period and tagged England Georgian Era Fashion, Neoclassical dresses, Nikolaus von Heideloff, Regency period on 11/30/13 by world4. Regency bonnet of black velvet, French grey satin cloak 1795. Heideloff`s Gallery of Fashion January 1795. England Morning Dress. This entry was posted in 1795, 18th Century, England, Gallery of Fashion, Georgian period, Regency period and tagged England Georgian Era Fashion, Neoclassical dresses, Nikolaus von Heideloff, Regency period on 11/30/13 by world4. Court Dress by Madame Beauvais. Regency era fashion. Court Dress, made by Madame Beauvais, Milliner to her Majesty. 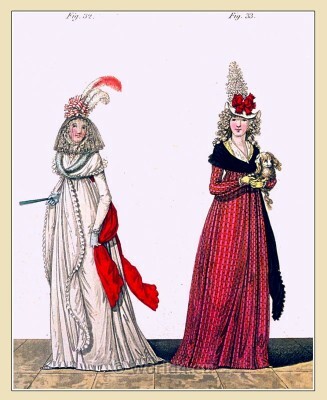 The Gallery of Fashion February 1795. Published by Nikolaus von Heideloff, London. This entry was posted in 1795, 18th Century, Court dress, England, Gallery of Fashion, Georgian period, Regency period and tagged England Georgian Era Fashion, Neoclassical dresses, Nikolaus von Heideloff, Regency period on 11/30/13 by world4. 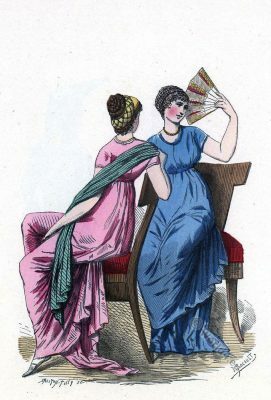 Regency Spencer of dark blue cloth. York tan gloves 1795. Heideloff`s Gallery of Fashion March 1795. England Morning Dress. Regency Chemise of muslin. 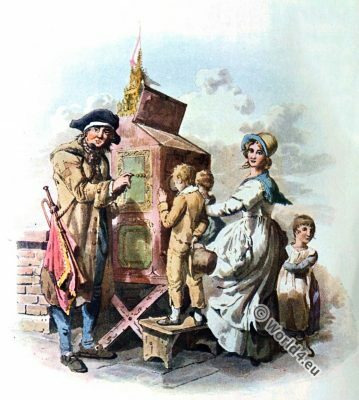 Sash à l`enfantine 1795. Regency Chemise of muslin. Sash à l`enfantine. Gallery of Fashion Vol. 2. Published by Nikolaus von Heideloff, London. Georgian fashion era. 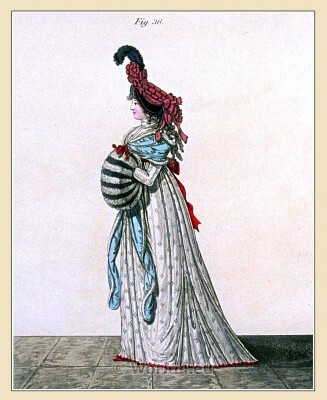 Costume in the time of Jane Austen. Regency close gown of sprig muslin. Bonnet of yellow satin. The Gallery of Fashion Vol. 2. Published by Nikolaus von Heideloff, London. 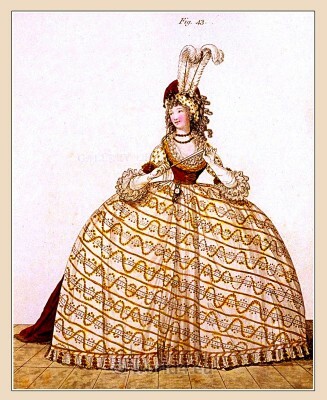 Georgian fashion era. Costume in the time of Jane Austen.